This Brown Sugar Chicken is sweet, juicy and made entirely in the slow cooker. You’ll love how easy this recipe is. If chicken were candy, this would be it! It’s hard to believe that it’s already October. My youngest daughter, my baby girl, celebrated her 14th birthday. I know I sound like a broken record when I say that I cannot believe how quickly time flies. It’s just her and I at home now. My oldest daughter is away at university. Sniff, sniff. Bridget is a very active girl with a ravenous appetite….for foods she likes, that is. It’s challenging to find meals that she will eat. I guess the apple doesn’t fall far from the tree because I was the same way growing up. I’m a slow cooker kinda gal. I love anything with little prep and that tastes delicious. Oh, and that Bridget will actually eat. This simple Brown Sugar Chicken recipe fits all the criteria. 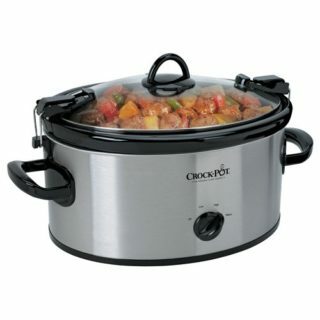 The perfect meal is one that I can throw everything in the slow cooker and then let it work it’s magic. I know that when the time is up, I will have perfectly cooked chicken that is tender and juicy. In this recipe, I also have sweet. Yes, sweet chicken. It’s surprisingly delicious. Bridget loves it so that makes it a regular meal on our dinner rotation. I cook with chicken often because it’s so versatile. 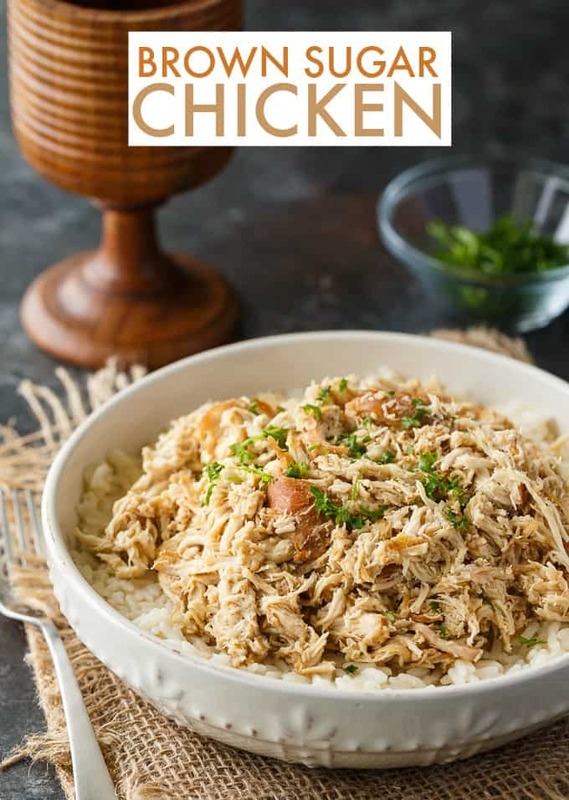 There are so many great chicken recipes to try. 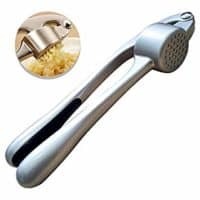 The Chicken Farmers of Canada has a recipe section on their site that is full of yummy chicken recipes. For busy weeknights, I recommend checking out their Quick n’ Easy Recipes. In particular, I like this Baked Chicken and Rosemary Pasta and Autumn Chicken and Apple Stew. I also love their Slow Cooker recipes. I used boneless, skinless chicken breasts for this recipe because it’s what I had on hand. You can make it with other cuts of chicken if you like. No matter what chicken cut you choose, make sure to look for the “Raised by a Canadian Farmer” logo on the packaging. That way you know that the chicken you are buying is Canadian. Canadian chicken rocks! Add the chicken to the slow cooker. Sprinkle brown sugar, black pepper, garlic and soy sauce on top of the chicken. Pour in the white wine vinegar and lemon lime soda. Cover and cook on high for 4 hours or low for 7 hours. No peeking! 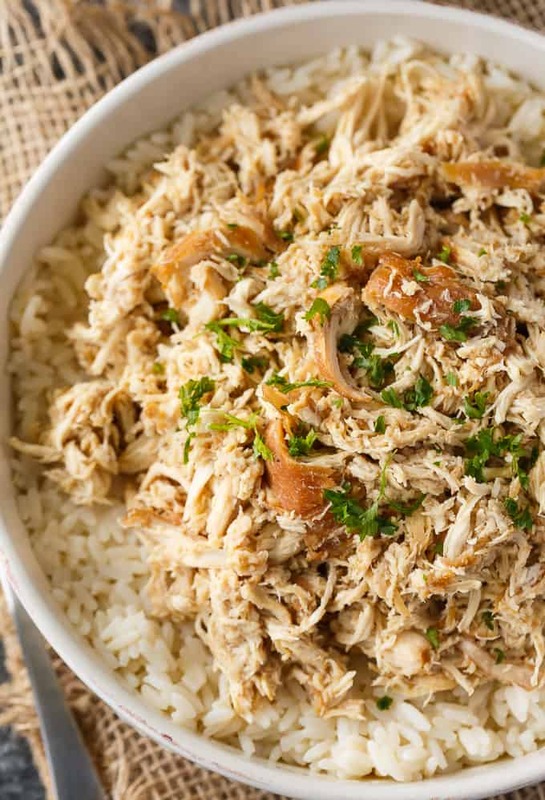 Remove the chicken from the slow cooker and add to a bowl. Shred with two forks. Measure 1/4 cup to 1/2 cup of the remaining slow cooker sauce and add it to the chicken, depending on how much saucy flavour you want. Serve on a bed of rice. You could also add extra sauce to flavour the rice if you like. I garnished with parsley too, but that is optional. This recipe makes about 4 servings so we ended up having leftovers. It tasted delicious the next day as well. I put it on a sandwich with a little bit of mayonnaise. So tasty for lunch! Give it a try for a busy weeknight and see what your family thinks! I hope they love it. 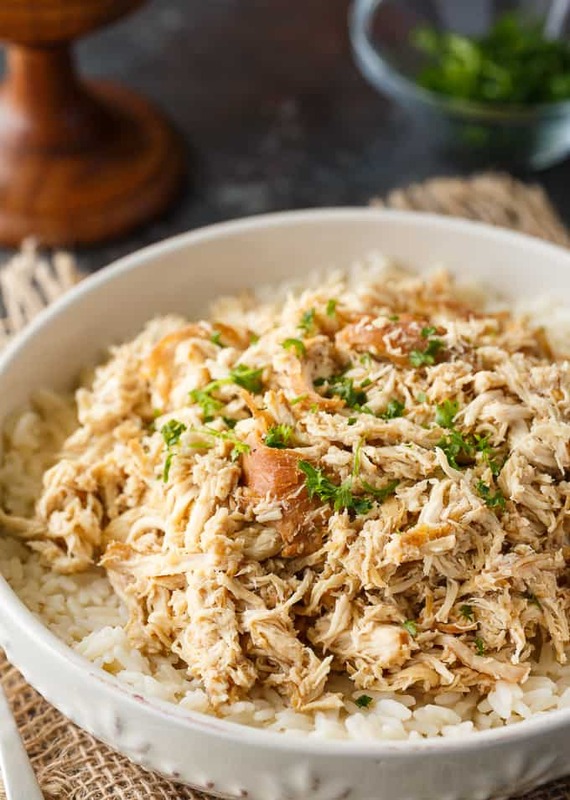 I have a few more slow cooker chicken recipes you might enjoy like this Peking Chicken, Slow Cooker 40 Clove Garlic Chicken and Slow Cooker Buffalo Chicken Sliders. Sweet, juicy and made entirely in the slow cooker. You'll love how easy this recipe is. Place chicken breasts in the slow cooker. Add brown sugar, black pepper, garlic and soy sauce. Pour in white wine vinegar and lemon lime soda. Cover and cook for 4 hours on High or 7 hours on Low. 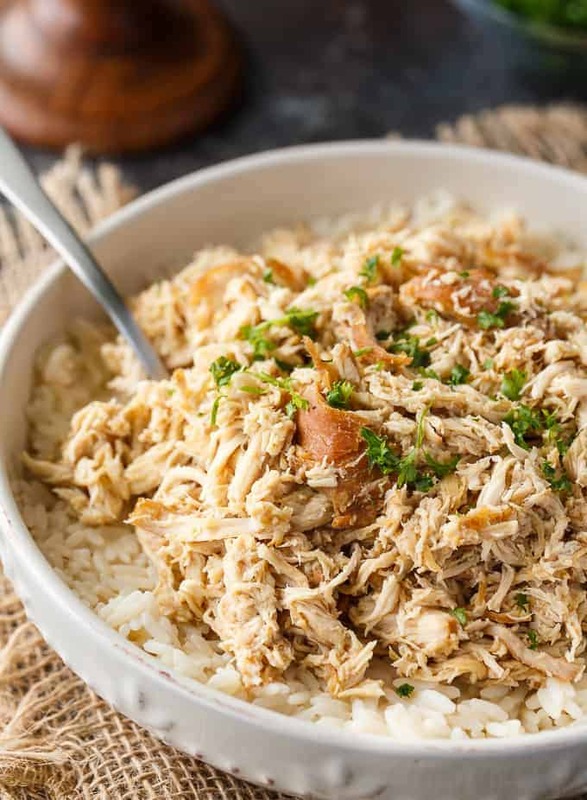 Remove chicken from slow cooker and add to a bowl. 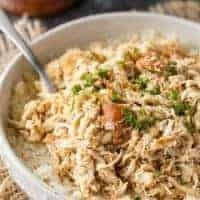 Shred chicken with two forks. Measure 1/4 cup to 1/2 cup of the sauce remaining in the slow cooker and pour over chicken. Toss to combine. Serve over a bed of rice. Sprinkle with chopped parsley, if desired. I dint have a instant pot but id love home made chicken noodle soup , but i think a family fave would be the One Pot Chicken Pasta ! It looks so yummy !! BBQ chicken thighs – just dump everything in and turn it on before you leave for work – magical! I would like to try the Easiest Ever Southwestern Dinner and think it might be a recipe that would become a favourite for us. I would love to make orange chicken in a slow cooker. We love making greek chicken and potatoes in the slow cooker! My favourite slow cooker recipe for chicken is chicken & noodles over mashed potatoes. Sounds odd, I know, but it is so hearty and so good! I put a whole chicken, a can of cream of mushroom soup, a cup of chicken boullion, a cut up onion, salt, pepper and a sprinkle of garlic powder. Cook for 8 hours on low and it is DELICIOUS !!! This would be great to make my curry chicken in… also my home made noodles with chicken. I like the Instant Pot Chicken burritos. Kids love it. Sounds delicious!Thank you for sharing at Party In Your PJs! I think that the recipe for the Instant Pot Chicken Burritos would be a hit in our household. I know it would for me since it’s a one pot food. 5 Ingredient Slow-Cooker Roast Chicken Dinner is a great recipe. we dont cook a lot of chicken in the crock pot, but buffalo chicken dip is one of my favourites to pop in there! Love this recipe! 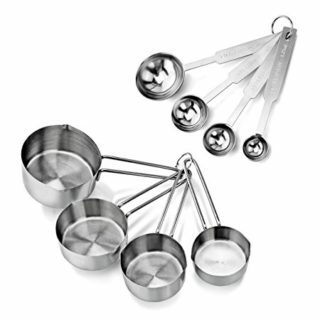 It is definitely on my “must make” list! I love making a hearty chicken stew! This looks like a very interesting recipe, I can’t wait to taste this recipe! Thanks so much for sharing with Full Plate Thursday and have a great week! This sounds yummy. Thanks for sharing at the inspiration spotlight party @Dearcreatives Pinned and sahring. 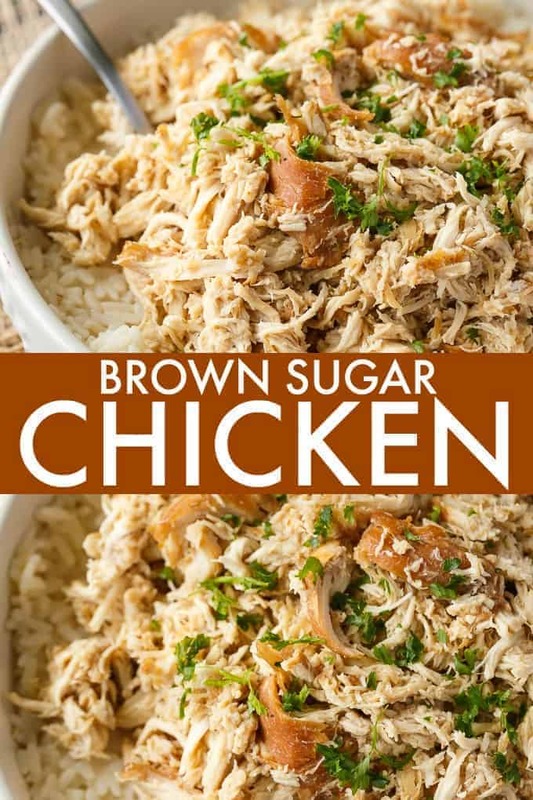 I do love to use my slow cooker and this brown sugar chicken sounds delicious. I have never used brown sugar in my chicken. Thank you for sharing at Inspire Me Monday. i haven’t done a chicken recipe yet, but I love pulled pork..i think I would like to try a chicken version! can’t go wrong with chicken!! Chicken cacciatore is a favourite. 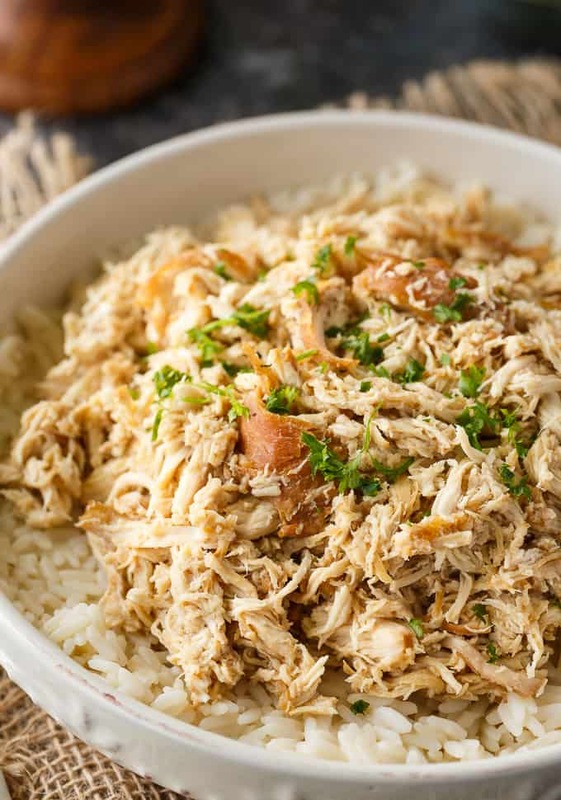 We make ‘pulled chicken’ — replacing the ‘pork’ in pulled pork recipes! It’s different every time — we don’t follow a recipe. My family would like the chicken burritos best. My favourite is the One-pot chicken pasta.